What is Intellectual Property Right (IPR)? intellectual property means creations of the intellect for which a monopoly is assigned to designated owners by law. 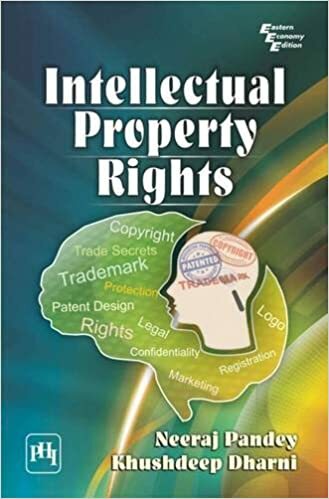 Intellectual property rights (IPR) include patents, copyright, industrial design rights, trademarks, plant variety rights, trade dress, geographical indications, and in some jurisdictions trade secrets. There are also more specialized or derived varieties of sui generis exclusive rights, such as circuit design rights (called mask work rights in the US) and supplementary protection certificates for pharmaceutical products (after expiry of a patent protecting them) and database rights (in European law). The protections granted to the creators of IP. IPRs Include trademarks, copyright, patents, industrial design rights, and in some jurisdictions trade secrets. What all can be protected? Artistic works including music and literature, as well as discoveries, inventions, words, phrases, symbols, and designs. Steps to secure an IP? Protection given by law for a term of years to the composer, author etc… to make copies of their work..
What’s the Scope of work for Protection? Work include literary, artistic, musical, films, sound recordings, broadcasts. What’s the term of registration? The term of registration of a copyright for literary, artistic, musical, dramatic work is lifetime +60 years from the beginning of the calendar year next following the year in which the author dies and in other cases until sixty years from the beginning of the calendar years next following the year in which the work is first published. Patent is granted for a duration of 20 years. The design must be applied by an industrial process. How can IP’s be safeguarded through agreements? Another step in seeking IP protection against theft is executing comprehensive employment agreements and non-disclosure and IP assignment agreements with clauses on non-compete, confidentiality, non-solicitation, IP protection, assignment of inventions/IP, work for hire, etc. Special Case – Licencing to third party when licensing any IP to a third party, a detailed licensing/sub-licensing agreement must be executed. The Designs Act of 2000. What’s the value of an IP? The value of an IP is a monetary compensation that is expected to be received from licensing of an IP or from sale or exchange of other intangible assets. How new is this concept? The concept of valuation of intellectual property and other intangible assets of a company is new as compared to other concepts of intellectual property (IP) law. It can either be based on historic cost or on replacement cost. A historic cost is the actual cost of creating an IP. Replacement cost is the cost to replace the asset. It is determined as to what will be the cost of creating a new trademark or a patent. This method is not recommended as there is no correlation between expenditure and subsequent value of asset. E.g. a product promoted at huge cost does not appeal the customers. A major drawback of this method is that it is not possible to determine an exact future cost. This method can be based on the market price comparability or on comparable royal rate. Market price comparability- the value of an IP is determined on the basis of price of comparable IP products. Evaluation is done through comparable royal rates. This requires construction of a business plan around an IP. The resulting return is then compared to the price of being owner of the asset. If the price is higher than the return, it is recommended not to buy the asset. This method requires identification, separation and quantification of cash flow or royalty fees to IP and then the capitalization of future cash flow. Quantifying the future revenue stream can be done in view of exploited or unexploited IP. In case of capitalization, longer the period of money receipt, higher will be the risk. Risk is described in terms of discount rate which in turn is based on inflation rate, cost of capital and premium. A cash flow projection is constructed and discounted to derive a net present value. This estimated present value is the worth of the IP asset. A major limitation of IP valuation is that it is based on estimates, assumptions and judgments than on facts. Thus it lacks accuracy. How to choose an IPR strategy? It is important to do a cost/benefit analysis to determine which IP protection is best suited for the business and put in place an IP strategy to obtain and sustain benefits for the business in long run, as for most startups IP is the only business asset. #1 Creating awareness – The new policy aims to create awareness among all sections of society about the economic, social, and cultural benefits of IPR. It will be made a compulsory part of the curriculum in major institutions. The need to open a national research institute for IPR has also been proposed, to increase outreach. #2 Innovation – To offset India’s growing foreign dependence, India needs to develop indigenous products. Through its national IPR policy, the government’s main thrust is to create an environment where people can think innovatively and generate innovation in every field. The policy will help mainly inventors and entrepreneurs who are dealing with an overload of knowledge and ideas that need to be protected (from infringers) through trademarks, copyrights or patents, as may be required. 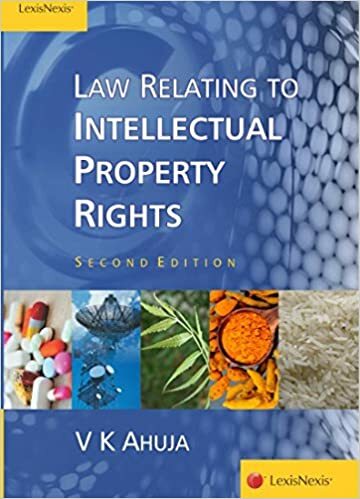 #3 Balanced structure of legal framework – Protection of intellectual property can only be provided through well-defined laws, which balance the interests of the public with those of intellectual property owners. If there are no protection mechanisms in the legal system, then people will not be encouraged to create more intellectual property. The new policy will lead to stronger institutional monitoring mechanisms to curb IP offenses at the state level. #4 Administration and Management– The policy aims to modernize and strengthen service-oriented IPR administration. Digitization of all government filings has made it quite hassle free to register trademarks online by using IP India’s Site. By 2017, the government aims to lower the average time for pending IPR applications to 18 months (down from 5-7 years) and trademark registration to one month (down from 13 months). #5 Commercialization of IPRs – The policy aims to enable Indian companies to get value for IPRs through commercialization. Most business owners do not know how their brand impacts the value of their business. A strong brand is nothing but an intangible asset that includes trademarks, copyrights, patents and trade secrets which are the intellectual property of that company. At the time of valuation or in case if the owner is considering selling his business, then intangible assets like your intellectual property can command more value than other tangible assets. Also, a well-protected brand attracts investors as they will feel safe to invest in a company that has everything secured in legal terms to avoid any future conflicts. #6 Enforcement and Adjudication – Protecting intellectual property with trademarks, copyrights and patents plays an essential role in monetizing innovation. By strengthening the enforcement and adjudicatory mechanisms for combating IPR infringements, a company can stop others from stealing its work. The process of opposing and safeguarding IP will involve coordination between various agencies and guiding IP owners to follow best practices to avoid digital piracy. #7 Human Capital Development – To strengthen and expand human resources, the new policy calls for (i) new institutions and capacities for teaching, training, research and skill building in IPRs; (ii) the opening of R&D institutions; and (iii) making IPR a compulsory subject to be taught in schools and colleges. The aim is to develop a increasing pool of skilled IP experts, to facilitate the growth and judicious management of IP assets. IP Audit: It is a systematic review of the intellectual properties owned, used or acquired by a business so as to assess and manage risk, remedy problems and implement best practices in IP asset management. IP Valuation: Valuation is considered as one of the most critical areas in finance; intellectual property (IP) valuation is considered as one of the most important management strategic issues. IP portfolio Management: The management of intellectual property is all about managing innovation with the procedures and processes that are required to turn that innovation into valuable patent rights. A truly strategic approach to IP management will span conception to product market release. The author is a practing chartered accountant and she can be reached at ca.pranjalmehta@gmail.com and facbook.com/CaPranjalMehta. The view expressed in above article is personal in nature. Hello, who can evaluate IPRs? What is the law governing IP valuation? Should a patent professional be a registered valuer for evaluating patents?